There’s something about pickles that can add that extra touch to sandwiches and BBQ. I crave the pickle in a Chick-fil-a sandwich… Even a Krystal burger (like a white Castle for you Northerners) isn’t the same without a sliver of dill chip… and once I tried the sweet sliced pickles at Sconyer’s Barbecue in Augusta Georgia I couldn’t have pulled pork without at least a few sweet dill chips (and white bread). 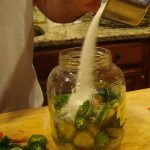 Here’s a way you can create your own signature pickle or pepper without all the traditional pickling hassles. Plus no boiling jars here. 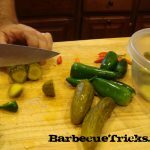 You use inexpensive store bought pickles (I experimented with different brands and prefer the crunchy snap of Vlasic’s Baby Kosher Dills) and add in any variation of peppers you like. I mixed jalapenos and fresh Tabasco peppers (might be tough to find… we had a few in the garden) but any chile will work. You can even remove the peppers for zero scoville heat. But what fun would that be. I found I like the sweet jalapeno chips best of all… but the heat in the pickles will make your guests remember the meal. 2 Fresh Tabasco, small red chile peppers or “experimental” Peppers for red color and sharp heat. In a large bowl reserve pickles and the jar’s liquid. Slice the pickles in 1/4 to 1/2 inch slices (for sandwiches) or chunks (for snacking). 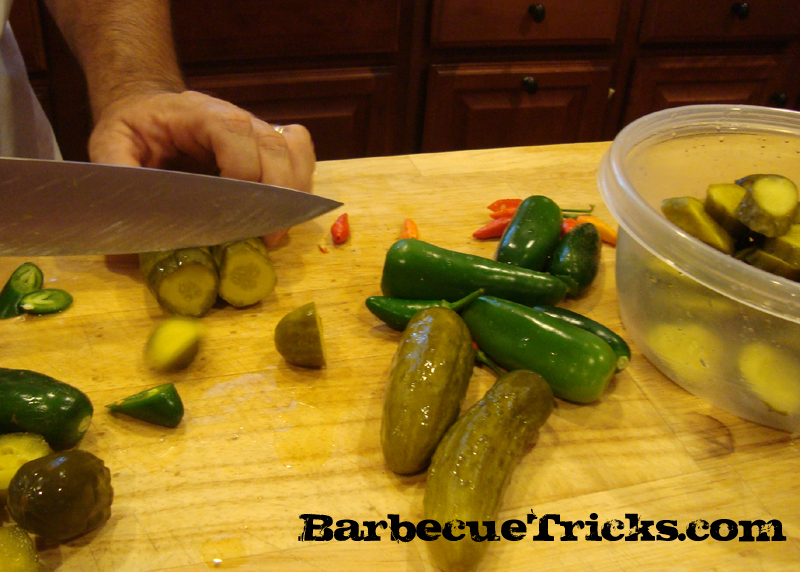 Clean peppers thoroughly and slice Jalapenos into 1/4 inch disks. Slice Tabasco peppers or extremely hot peppers lengthwise (or just score them). Leave the stems on for looks. 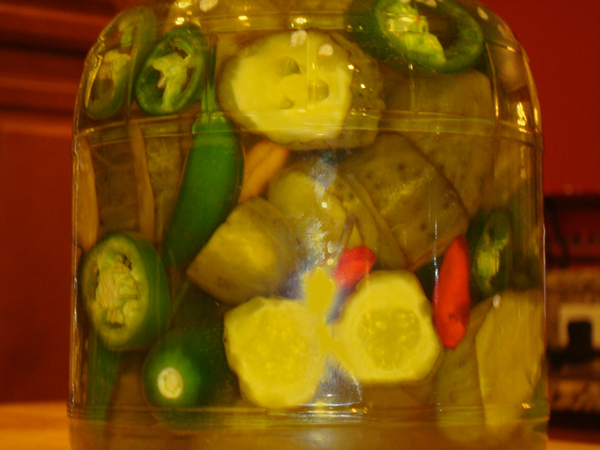 Return the pickle chips back to the jar in layers along with even portions of peppers and sugar until full. 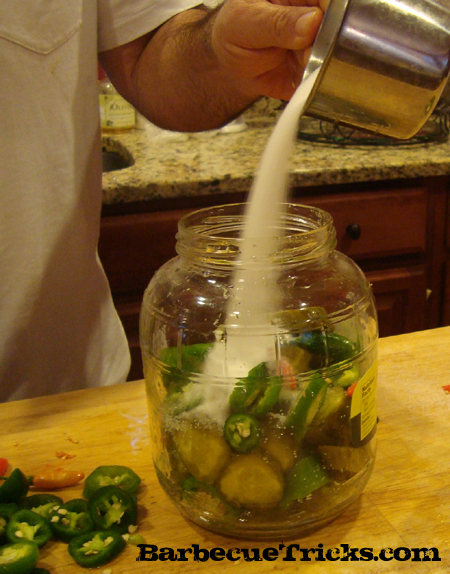 Use all the sugar and peppers and reserve any leftover pickles for another use. Slowly add the vinegar and then fill the jar with the remaining original juice. Add sugar a bit at a time. Let the sugar dissolve and cover with the lid and allow the sugar to dissolve with the jar at room temperature for about an hour. Shake and rotate the jar occasionally to expedite. Refrigerate overnight. Last year my wife stuffed my stocking with a BBQ gift that would change my life. It wasn’t a big box… it fit in my stocking… and it has really helped every piece of meat I’ve since put on a grill. 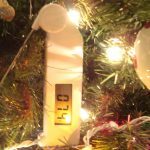 It was a Thermapen Meat thermometer and it’s one of those cooking tools that works so well (other instant read thermometers always seem so unpredictable) I enjoy using it and have grown confident with the readings. Really, what’s more important than NOT getting your guests sick! It was a great gift. She did her homework. My wife researched that “Cooks Illustrated” had recommended it as a good buy a few years back. She found a good price too. It was such a great idea for a gift I compiled a sort of “best of” list of the coolest BBQ presents out there for Grilling Gift Giving. 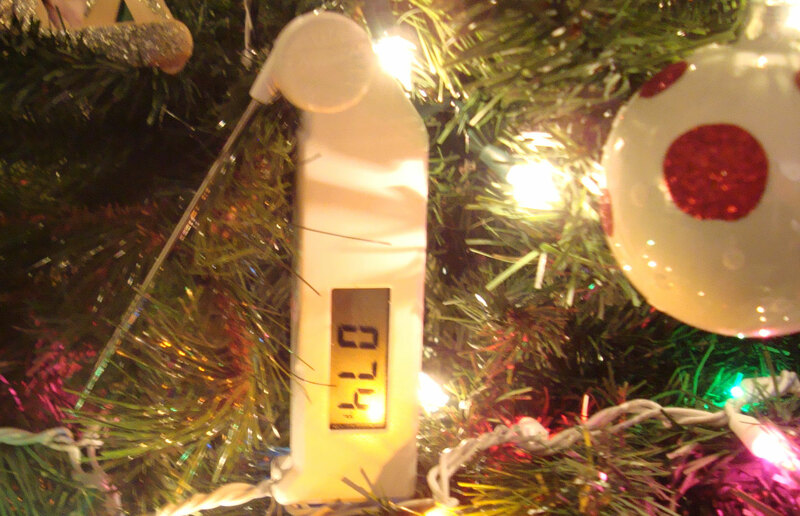 You just can’t beat the Thermapen Instant Read Thermometer from Thermoworks. Other thermometers may be OK.. but this one is super fast, accurate, easy, and Amazon has it at a great price. Fits great in a big stocking. Omaha Steaks deal for their Omaha Steaks Signature Sampler that looks like a steal. 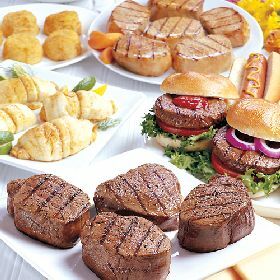 Steaks, burgers and stuffed baked potatoes. Any griller would want it, it made my mouth water thinking about it, and under $45 bucks. Looks like a delicious steal to us. If you want something inexpensive but kinda flashy for the pitmaster on your list an easy choice is a Grill Tools kit. These range from simple to super deluxe but they always are appreciated because you could always use another set to keep grill side! Some favorites for price are in our BBQ Shop like the “Mr BBQ” 5 piece stainless steel starting at under $25. You can go higher end too with the Cuisinart 6-Piece Master Grill Tool Set. Lastly if you have a sense of humor you can’t go wrong with a funny apron. Soon to be the ugly sweater of Christmas gift giving, it’s fun and always gets a laugh as he opens the gift. Go with funny (your opinion wasn’t in my recipe!) … or Mario Batali’s professional grade… or theme the apron with sports (Red Sox fan?) . You can pick them up for less than $17. Great gifts that can be put to quick use during time off with family and friends. And we don’t get any real endorsement fees for bragging about this stuff however – full disclosure – if you do buy through our links and Amazon we receive a small commission (as with all the great stuff in our BBQ Shop).